Ukraine’s key creditor, the International Monetary Fund (IMF), before allocating another tranche of financial aid, has strongly recommended that the Ukrainian authorities reviewed the tax legislation, lighten banking restrictions, improve operations with state assets and show concrete results in the fight against corruption. The issue of Ukraine's relations with its main creditor, the IMF, is back on political agenda. IMF doubts that Kyiv is able to implement reforms and fight corruption effectively. Just six months ago, IMF’s Managing Director Christine Lagarde said that the pace of Ukraine’s reforms was “astonishing” to the world. But last week, she made it clear to the Ukrainian authorities that a cooperation program is about to halt. "Without a substantial new effort to invigorate governance reforms and fight corruption, it is hard to see how the IMF-supported program can continue and be successful," Ms Lagarde said in a statement. U.S. Ambassador to Ukraine Geoffrey R. Pyatt was also quick to respond: " Statements of the International Monetary Fund on a slow progress in improving governance and fighting corruption in Ukraine is another argument for completing reload of reform-oriented Ukrainian government.” That “reload” wording has surely made some of Ukraine’s politicians feel anxious. The top officials also became agitated and the first persons of the state. President Petro Poroshenko and Prime Minister Arseniy Yatsenyuk have once again publicly taken an oath of allegiance to the reform and intolerance to corruption. Yatsenyuk announced the government's action plan for 2016 consisting of 376 steps, while the Head of State has even spoken with Ms. Lagarde on the phone. As a result, the idea was born of a road map of urgent reform. Apparently, this document is intended to complement the coalition agreement of the pro-European parliamentary majority and other statements made by various branches of power of intention to carry out a rapid transformation of the national economy and the system of state governance. Finance Minister Natalie Jaresko reported that a joint team of President’s Administration and the government is already working on a draft of the road map of reform. Moreover, it covers the priority issues of economic development and state governance, including privatization and anti-corruption policy, for example, in terms of e-declaration of the officials’ income. Even those who usually criticize the Cabinet for excessive attraction to foreign loans, this time were discussing the IMF topic. One of them, ex-Minister of Finance and MP Viktor Pynzenyk wrote on Facebook: "We cannot do without the IMF loan." The IMF pill was bitter but effective. The prospects of seeing a locked door at the headquarters of Ukraine’s key lender have stirred Kyiv up and not only made the authorities think hard about the road map of reform, but also press ahead with a memorandum on the second revision of the Extended Fund Facility (EFF) cooperation program the Fund approved a year ago, under which we expect to receive another $5.8 billion in 2016. There are plenty of versions of this draft memorandum spun by the Ukrainian media. But it remains unclear, which draft is actually final, if any. Nothing has been sent to Washington yet. 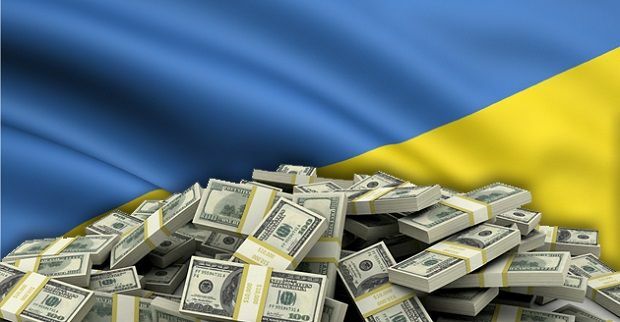 Sources say that the document with the top signatures might be sent to the IMF not earlier than February 16 -- the date of the Cabinet’s report in the Rada. At the same time, Washington has already sent a package of proposals to Kyiv. To help the Ukrainian reformers, the Fund sent two substantial reports -- on taxation and state assets management, which actually resembled a cookbook in terms of preciseness of requirements. The Fund has surely emphasized that the documents are solely recommendations, and it’s up to Ukraine whether to accept or reject them. But the price of free interpretation of this “recipe” is well known: if you don’t follow the advice – you’ll roll back to the economic recession, even deeper devaluation of the hryvnia and a new round of political turbulence. And the Ukrainian soup will once again be spoiled. As part of the tax reform, the Fund considers it necessary to revise approaches to the "simplified" taxation, change the number of tax rates, maintain a unified social security contribution, as well as introduce a progressive income tax (PIT). According to the IMF analysts, legal entities and VAT payers can no longer claim to be liable for "simplified" taxation, because such a "benefit" has become a real loophole for tax evasion. The Fund is confident that the single social payment should be paid at a much higher rate - 28% against the current 22%. The sharp decline in the rate of the single social payment is considered dangerous, possible only if there are certain compensators. The IMF offers to compensate reduction in SSC with a combination of the following measures: “Increase the VAT rate from 20% to 21%, eliminate the preferential VAT rate on pharmaceuticals [today’s rate is 7%], eliminate special regimes for agriculture, increase excise tax rates, increase corporate income tax (CPT) from 18% to 20%, as well as introduce a third PIT rate of 25% on incomes higher than UAH 15,000," reads the report. The income tax rate is also offered to be made partly “progressive.” In conditions of sharp inflationary shocks, the IMF considers acceptable to think through the mechanism of indexation of income tax taking into account the inflation index. Just as tough are recommendations to strengthen control over calculation of tax payments. In this context, the Fund offers to go for an unprecedented step: lower the bar of banking secrecy. "The SFS can obtain bank statements only with a court order and the information so obtained is restricted generally to general account balances. A decisive push against an expanding informal sector would require softening bank secrecy laws, for example, requiring only the intermediation of the central bank to obtain the information," the report says. In order to make real steps in tackling shadow economy it is necessary to soften the legislation on banking secrecy. For example, making information available simply upon the appropriate decision of the National Bank, according to the Fund’s recommendations. The eternal issue of the search of additional budget revenues - excise duties – was not left out, either. he recommendations are to “Increase excises on beer to UAH2.48/lt and 3.10/lt in the next two years, on wine – from UAH 0.01/lt to UAH 0.05/lt and UAH 0.1/lt in the next two years, on spirits – from UAH 70.53/lt to UAH 105/lt and UAH 123/lt in the next two years.” Sales of pure alcohol are recommended to be taxed, with subsequent reimbursement if alcohol is not sold for the production of alcoholic beverages. At the same time, the rate of excise duty on petroleum products, according to the IMF analysts, is at an optimal level - 13%. So it’s up to the effective administration of the excise tax and the fight against smuggling. Recommendations for the management of state property are also substantial. Firstly, the Ukrainian authorities were recommended to make an inventory of state-owned real estate and land. The Fund believes that all this wealth is not even really counted as the existing inventories do not cover the entire array of available disaggregated data. Therefore, it is difficult to expect from the state any effective management and use of its assets. But there comes a time to start doing something about it. Secondly, the Fund has advised to determine criteria for the creation and liquidation of state-owned enterprises and standardize their reporting. According to the IMF, such companies should report annually, and not on corporate websites, but in the Verkhovna Rada. Thus, all branches of power will be involved in managing state-owned enterprises. In addition, the IMF supported the establishment of one or more state holdings, which would combine state companies and would be controlled by independent directors, devoid of political pressure. Earlier this idea was actively lobbied by the Ministry of Economic Development, but for several reasons it has not developed into any clear pattern. However, the IMF does not have a common vision of how to create these holding companies. The most efficient way seems to be creating several structures for the management of groups of state assets. The disadvantage of this model is its high cost due to the need to attract a large number of qualified managers, as well as the risk of a return to the status quo when there is a certain layer of experts and managers, and they once again lead to a fragmented approach to the management of state property, according to the IMF report. In fact, Ukraine is now given a new set of requirements for transformation in the most significant areas. The country’s foreign partners will surely assess the implementation of reforms over a certain period. Finance minister Jaresko noted that "there will be no tranches without reform." But some ingredients from the IMF recipe will obviously cause controversy. The Ukrainian bankers are not at all enthusiastic about the prospects of the disclosure of banking information. "It is difficult to say how this recommendation will or can be realized. 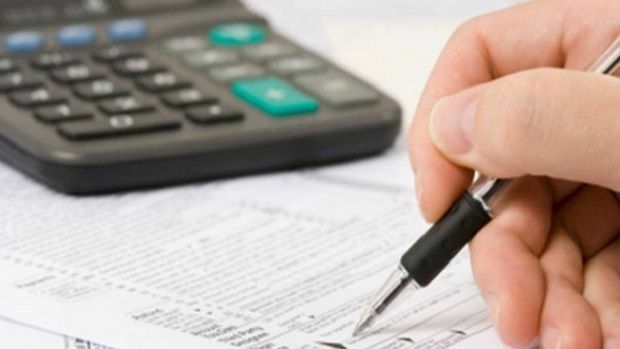 The requirements for disclosure of information by banks in favor of tax control were only getting tougher in recent years amid global crisis," chief economist of the Department of Strategic Planning at UniCredit Bank Andriy Prykhodko has told UNIAN in his comments. Financiers are anxious about the reaction to changes in "simplified" tax system. In their opinion, the restrictions for will lead to the growth of the shadow economy: the middle class of entrepreneurs with an income of over $5 million will not move to the regular taxation system. The experts note that the IMF-proposed approach does not take into account the possible consequences for the economy. Director of DA VINCI analytical group Anatolii Baronin agrees with this point. "The IMF offers template options, which do not take into account the situation in the country. For example, increased excise taxes on beer and spirits, the demand for which traditionally increases in times of crisis, will lead to an increase in the proportion of home-alcohol production,” said the expert. “IMF proposals do not consider the changes in purchasing power. Resource opportunities of filling the budget by increasing excise taxes are already at the point where the introduction of additional measures will have the opposite effect - reduction in budget revenues due to falling demand and sales." Baronin is positive that the proposed increase in the tax burden in general will have no positive effect as it narrows the already extremely unstable domestic demand against the backdrop of apparent stagnation of foreign markets for Ukraine. "I believe it would be easier for the IMF to set specific parameters, like reducing the 1.5% budget deficit, increasing the budget revenues to 2%, rather than offering dysfunctional solutions, which will have the opposite effect," said Baronin. Doctor of economic sciences, Anatolii Huley emphasized that it’s not difficult to accept all proposals. But it is difficult to work out a strategy for each figure and recommendation. The expert believes that the lack of such strategy will only add turbulence into the business environment, which needs solutions, not "the good intentions from the past." "In fact, the IMF proposals are also good intentions, which we should meet with the same good intentions to find a compromise. We need to take today's analytics and use it to perform calculations and to present solutions. The Fund’s suggestions are the foundation for dialogue," said the economist. The key in this dialog should be the ability of the parties to hear each other’s arguments, as well as the determination of the Ukrainian government to move from promises of action to real reform. 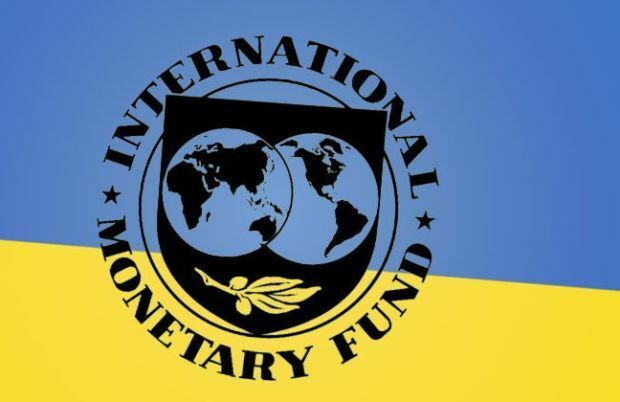 A twenty-year history of relations between Ukraine and the International Monetary Fund, unfortunately, is replete with examples of bitter failures. So, the caution of the Fund's functionaries toward Kyiv’s promises can be understood. However, these issues in relations should not cover with fog the exceptional importance of the objective – transformation of Ukraine into an economically and socially successful state. And the main thing here is for Ukraine not to spoil the soup by using too many recipes all at the same time. The representative of a nation that truly understands the importance of accuracy and timeliness in cooking, Christine Lagarde, should also understand this.